Netflix is arguably the most used streaming platform with lots of great contents. The Netflix app has a very nice user interface and is way more easier to use which is why most Netflix users stream through the app. However, the app is relatively new and isn’t packing a whole lot of features compared to the website. One of which is the ability to change the language. 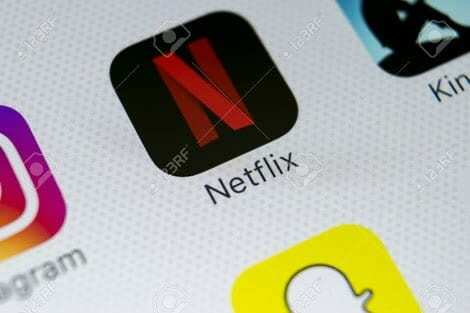 If you are here then you must have exhausted all your options looking for where to change the language settings of your Netflix app. Well, you can’t do that on the mobile app. It can only be done on the website which is weird if you ask if. You’d think something as important as this will be available on the mobile app but not it isn’t. Anyway, it might still be added to the mobile app in a future update but for now, we will have to make do with the website whenever we wanna change Netflix Language. Obviously, we will be needing a web Browser to Access the website so launch a Web browser either on your phone or on your PC and Access the Netflix Website. Select the User profile with the language you would like to change. Now Select your preferred language. Sign out of your account and sign back in to save the new settings. Now Open you Netflix app and it should be in your newly selected language. Also, if you would like to watch a movie or series which is in another language. You can either check to see if it is available in your language or use subtitles which writes the words in your preferred language for you to read. To do this, open the movie or series you would like to watch and Click on the Chatbox like Icon with something written inside and choose from the alternatives. Hopefully, the ability to change language comes a future update. Did the method above work for you? Or are you still finding it difficult to change the Language? Let us know by dropping the comment down below in the comment section.